FERRYLAND, N.L. 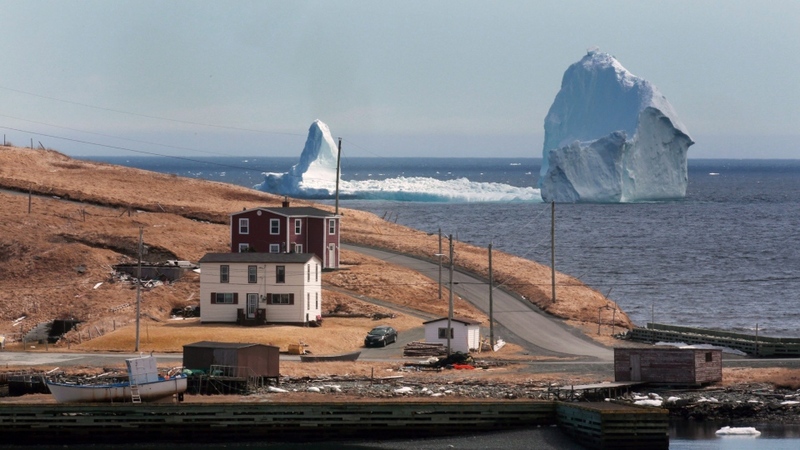 -- A towering iceberg stationed off Newfoundland's east coast is drawing hundreds of people to the small town sitting in its shadow. Ferryland Mayor Adrian Kavanagh said Monday it look grounded and could stick around for a while. "It's a huge iceberg and it's in so close that people can get a good photograph of it," he said during a phone interview. 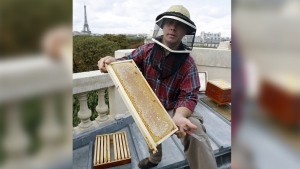 "It's the biggest one I ever seen around here." The massive iceberg has become a tourist attraction in Ferryland, where cars were backed up bumper to bumper Sunday as curious onlookers tried to get a glimpse of it. Kavanagh said the number of visitors took him by surprise, adding that the "onslaught" showed that people are interested "in that kind of stuff." Hundreds of people have made the trek from the surrounding area and St. John's, an hour's drive away, he said. Pictures have been making the rounds on social media, including one of a helicopter apparently parked on one end, looking insect-sized by comparison to the huge iceberg. Kavanagh said he's hearing that the wind could pick up and that could mean more icebergs brushing by his town. "You can see off in the distance on a clear dayΓÇª you can see five or six big bergs," he said. Kavanagh said while it's great for tourism, fishermen aren't so "particular about ice and the icebergs." It's been a busy season for icebergs so far, with 616 already having moved into the North Atlantic shipping lanes compared to 687 by the late-September season's end last year. Experts are attributing it to uncommonly strong counter-clockwise winds that are drawing the icebergs south, and perhaps also global warming, which is accelerating the Greenland ice sheet's shedding of ice.